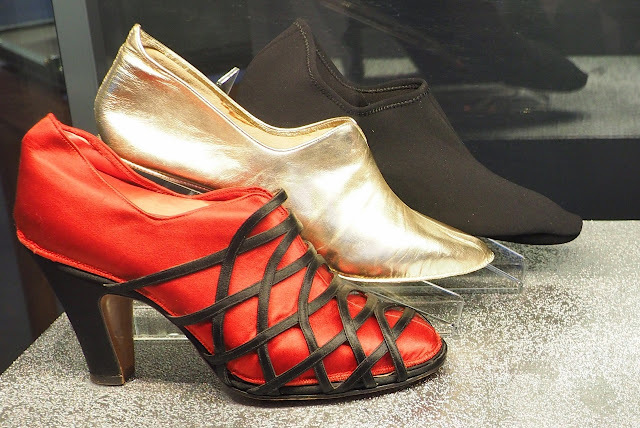 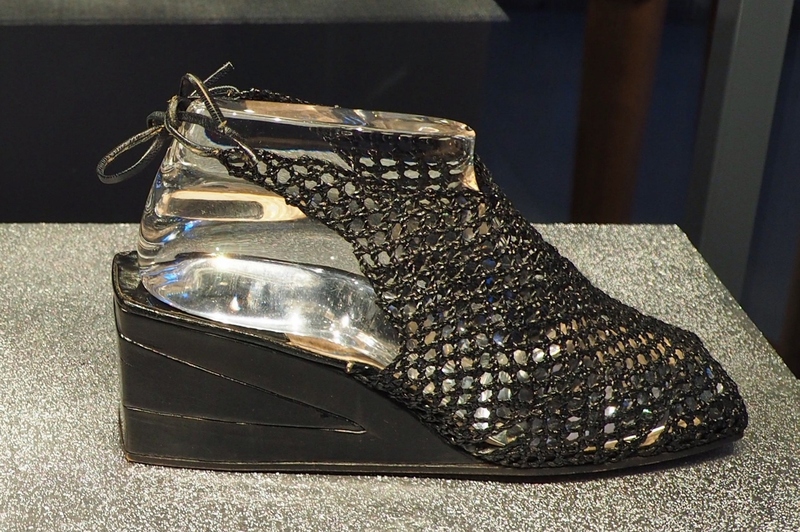 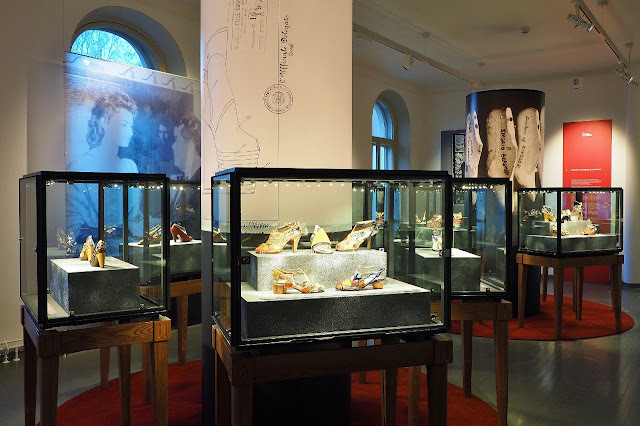 There is a great exhibition ongoing at the Museum Milavida in Tampere showcasing the career of the Italian maestro Salvatore Ferragamo, the most celebrated shoe designer of the 20th century. 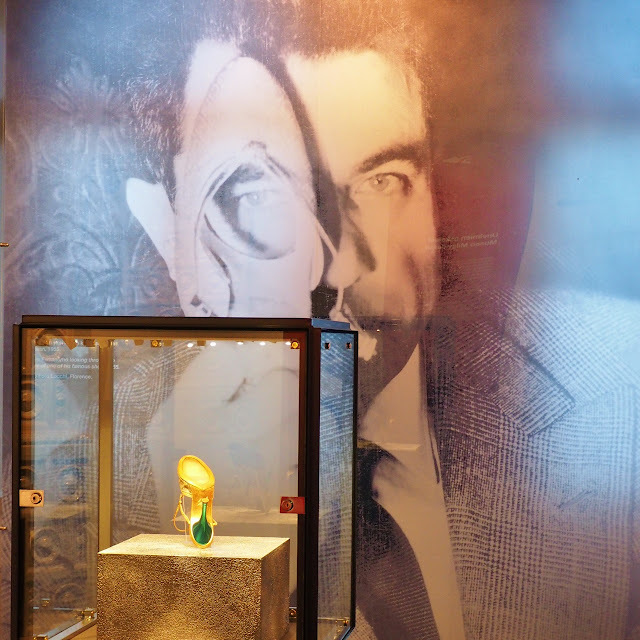 A few dozen of his iconic creations will be on display there until January 10. Many of them are from the 1930s and 1940s but strikingly innovative and up-to-date. Here are my favourites, the ones I would love to wear if I could endure high heels. 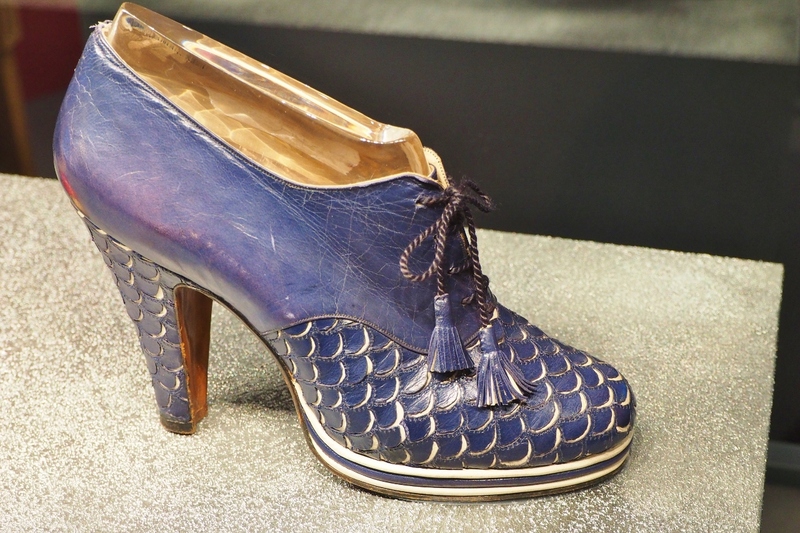 Note the fish scale effects also on the heel, 1938-1939. 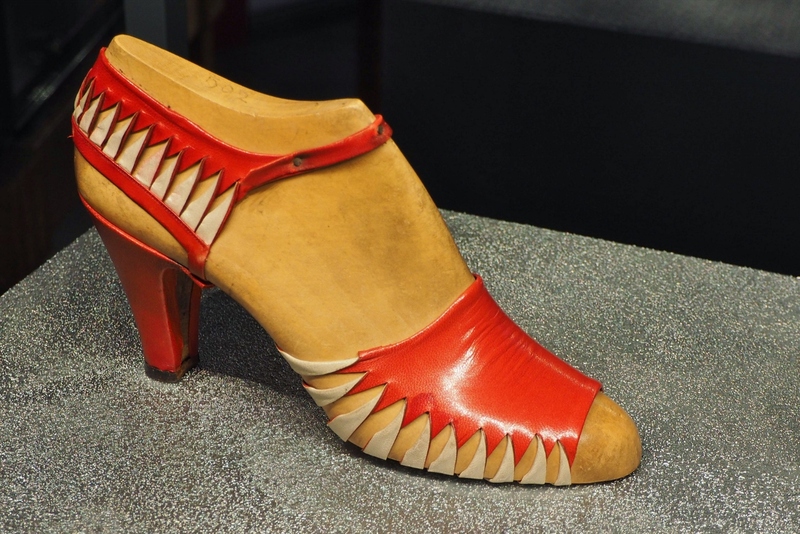 Upper and heel in fish skin, 1930-1935. 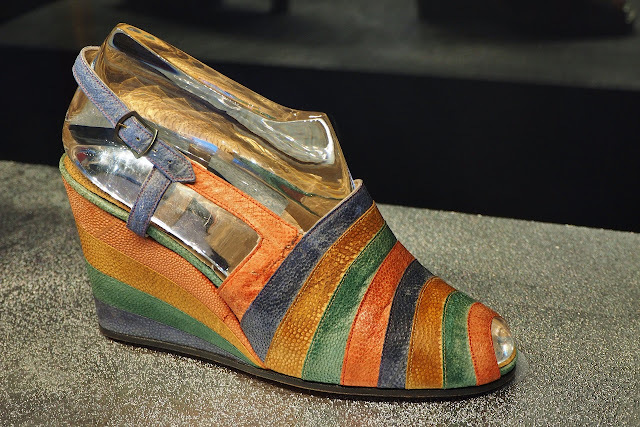 Striped upper and wedge heel in sea leopard skin, 1941. 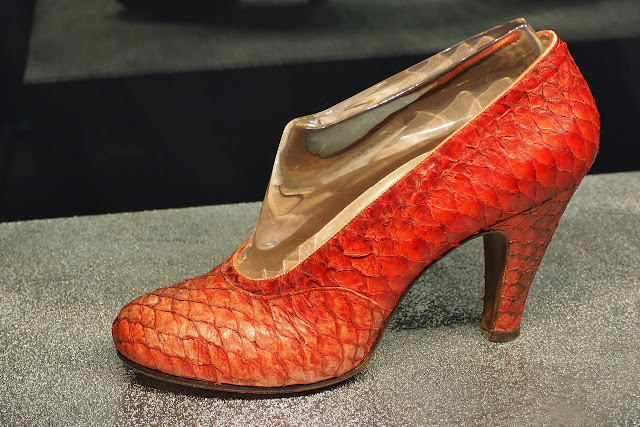 Salvatore Ferragamo was born in 1898, started as an apprentice at a shoemaker in Naples at 11, opened his first shop at his home village at 13 and emigrated to the USA at 16 to work at a boot factory in Boston with his brother. He was not happy with the quality of factory-made shoes and moved to Santa Barbara at 21 founding a shoemaker’s shop there. 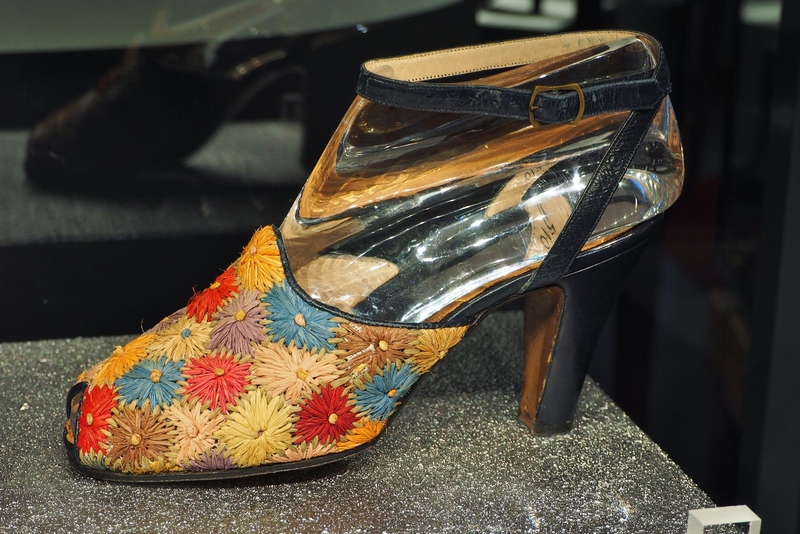 His talents were soon noticed and he started to design footwear for the film industry, which took him and his business to Hollywood after a couple of years. Innovative materials from the 1930s. 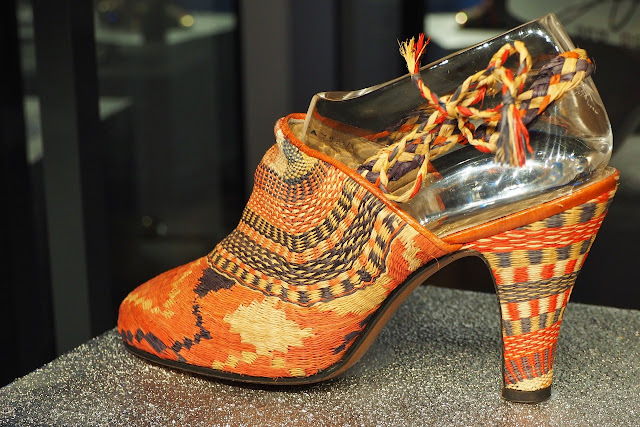 Upper and heel in woven grass from the Philippines, 1936-1938. Upper in cotton patchwork, 1930-1932. 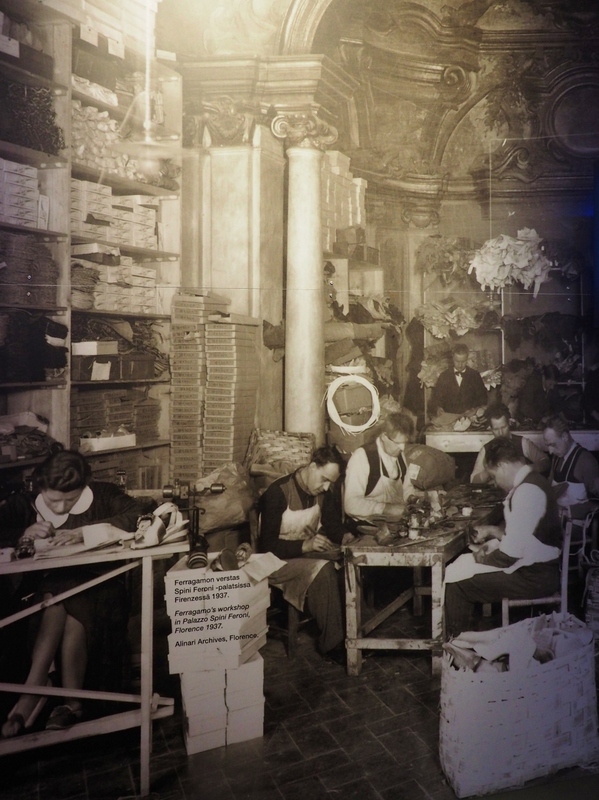 After 13 years in the USA at the age 0f 29, Ferragamo returned to Italy opening a shoemaker’s shop in Florence. 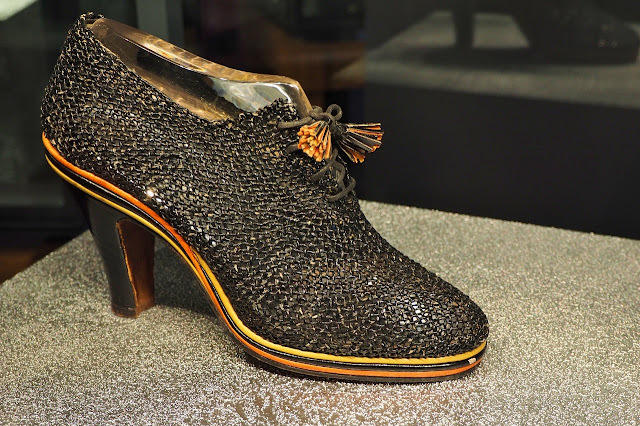 In 1938, he bought the Palazzo Spini Feroni which still serves as the headquarters of the company and houses their flagship store. 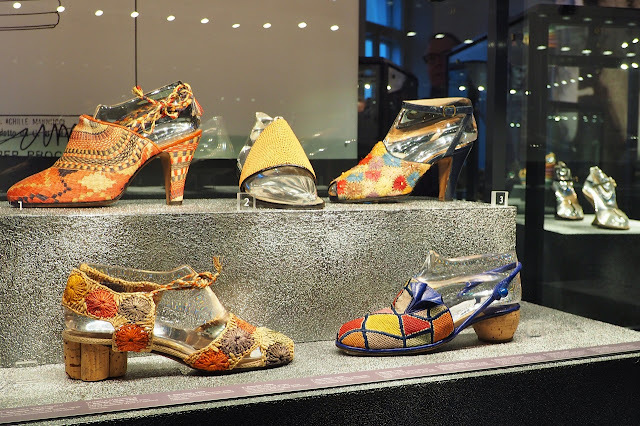 He married a girl less than half his age, had six children, and continued inventing and innovating in Florence until his death in 1960. Ferragamo's workshop at Palazzo Spini Feroni in 1937. 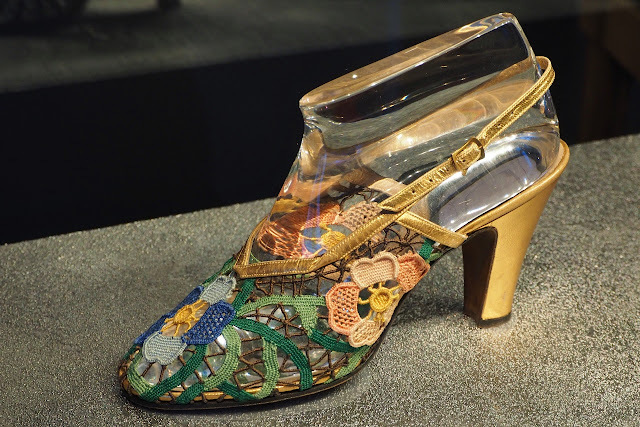 Upper in Florentine needle-point lace, 1935. 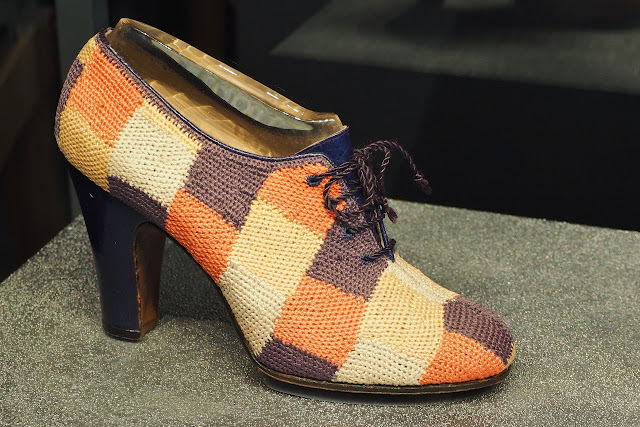 Upper in crocheted cellophane, 1941. After Ferragamo’s death, his widow Wanda who had never worked in the company took over and gradually learned to run the whole show. 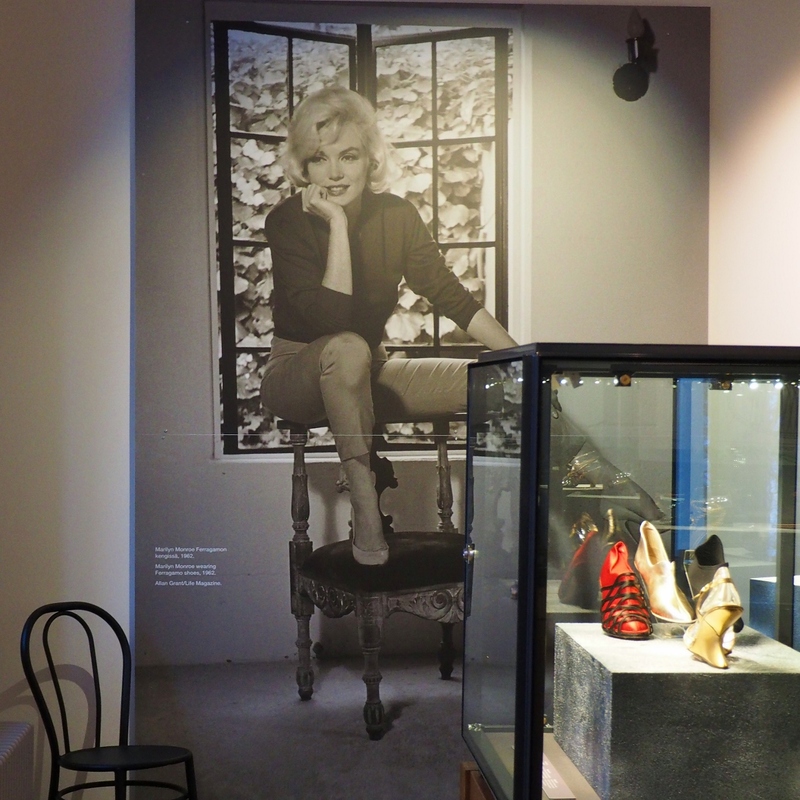 Together with their children she has made her husband’s final dream come true developing the business into an international fashion brand. 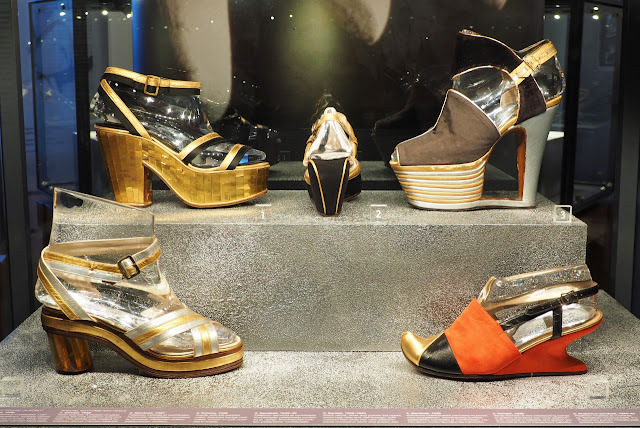 The group currently employs some 4000 people and has some 640 stores around the world. 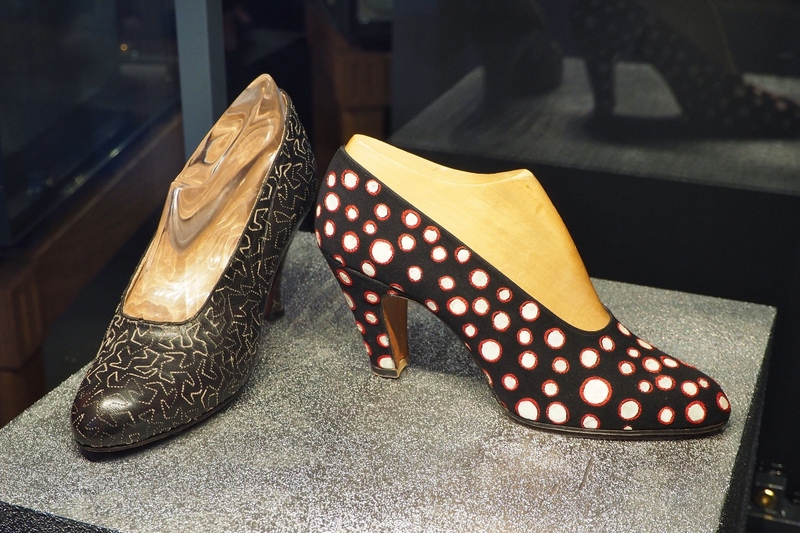 Today at the age of 94, she is still going strong heading the Fondazione Ferragamo that was recently established to promote handcraftsmanship. Design for Sophia Loren on the left, and for Marilyn Monroe in crocodile skin and suede on the right. 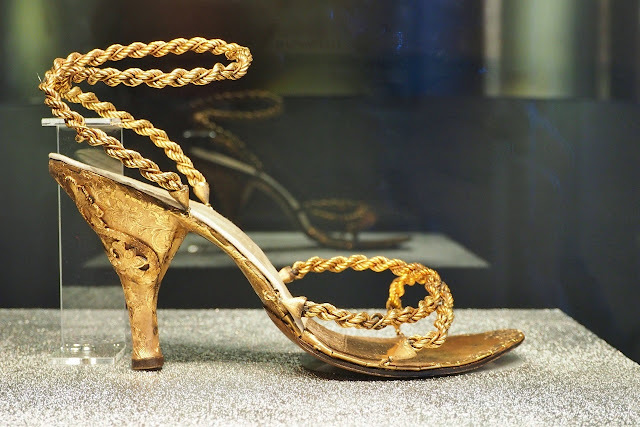 The Kimo, a sandal with a fitted 'sock', 1951. What made Salvatore Ferragamo unique – in addition to his incredible creativity evidenced by some 370 patents he obtained over the years – was his passion for the comfortable shoe. Very early on, he devoted time to studying the anatomy of the foot, which led him to inventing the shank, a metal support for the arch of the foot that was light but provided rigid strengthening. 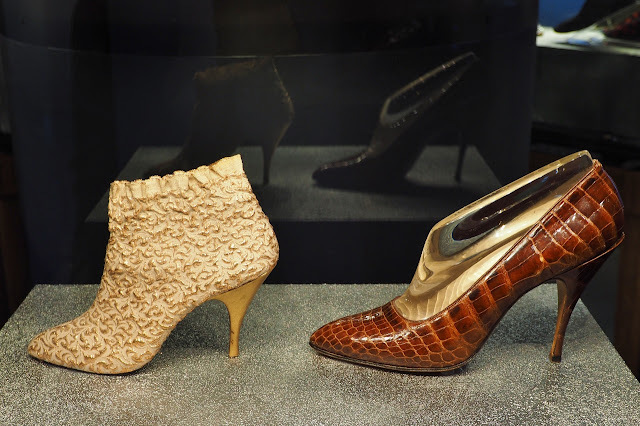 Each Ferragamo shoe still contains the shank to make it more comfortable to wear. 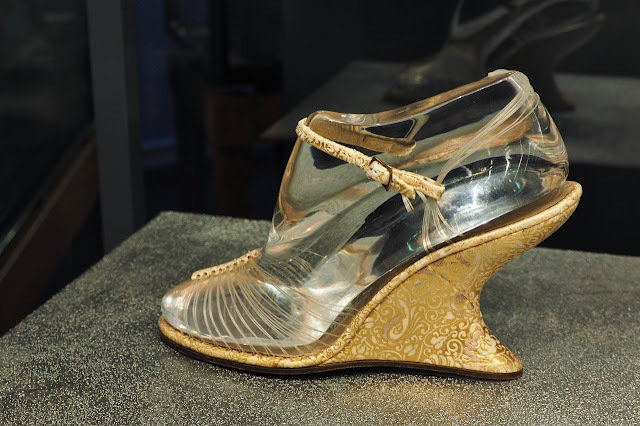 The Invisible Shoe with the upper in transparent nylon thread won the Neiman Marcus Award, the Oscar of fashion, 1947. 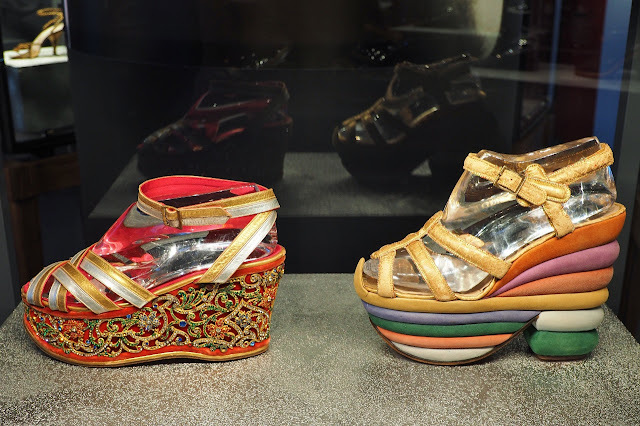 On the right, the Rainbow platform sandal designed for Judy Garland, 1938. 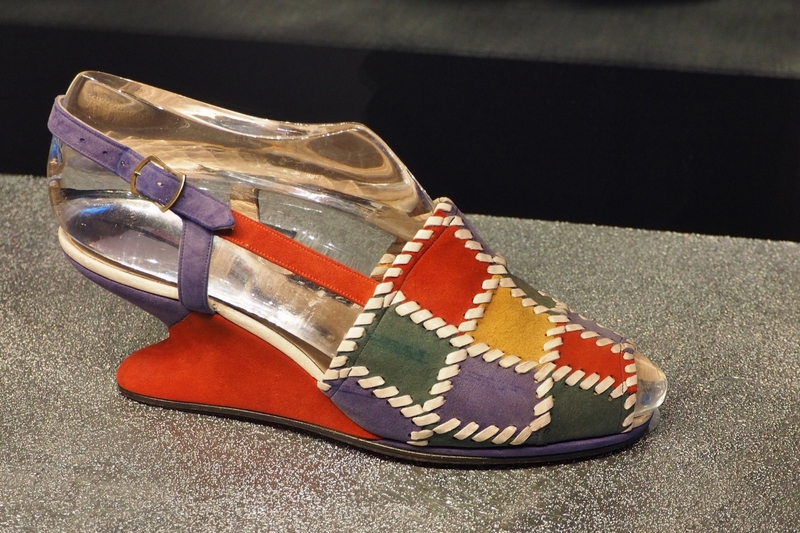 Upper in patchwork suede, 1947. There is one more thing to show: the most expensive shoe Mr Ferragamo ever made. 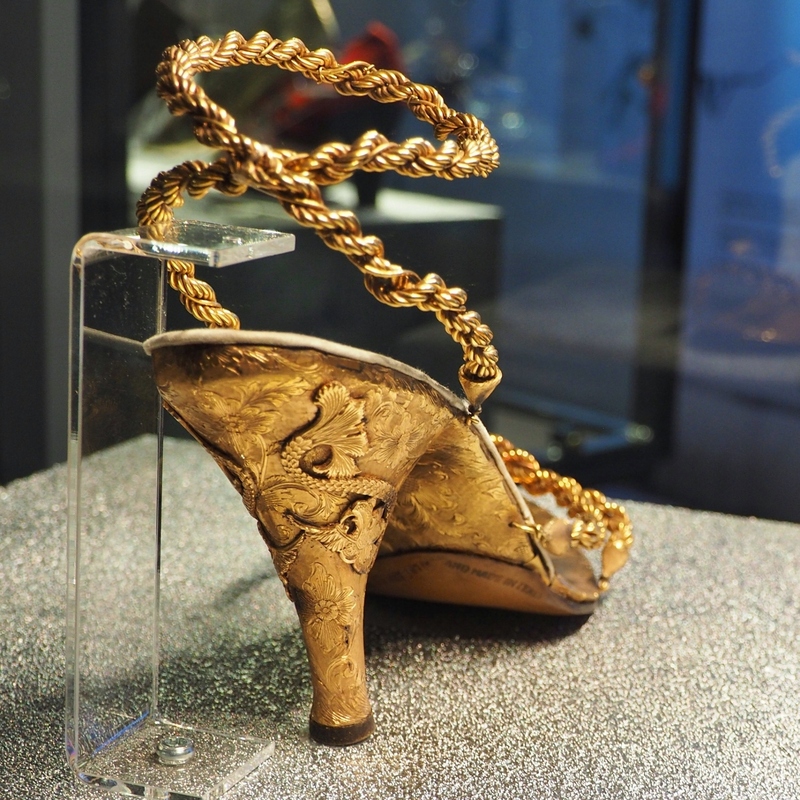 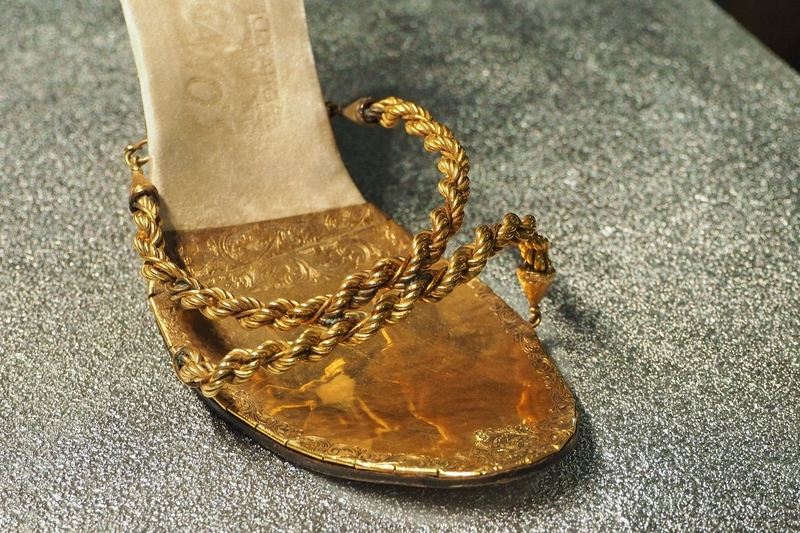 The below is the Golden Shoe with an 18-carat gold upper and heel. 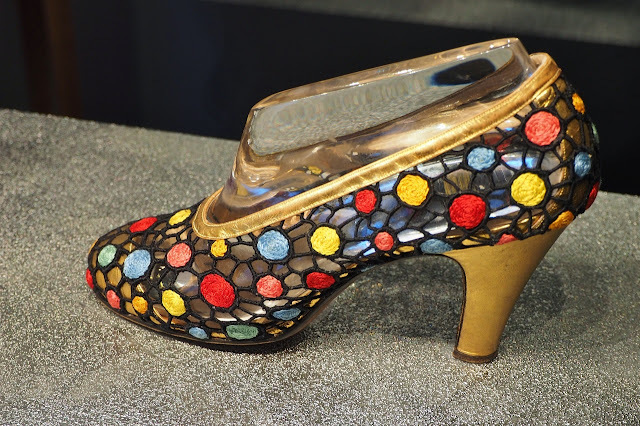 It was designed in 1956 for the wife of an Australian oil tycoon and made in collaboration with the goldsmiths of Ponte Vecchio in Florence. Whatever you think about using astronomical sums of money for a pair of shoes, you have to admire the exquisite design and craftsmanship. 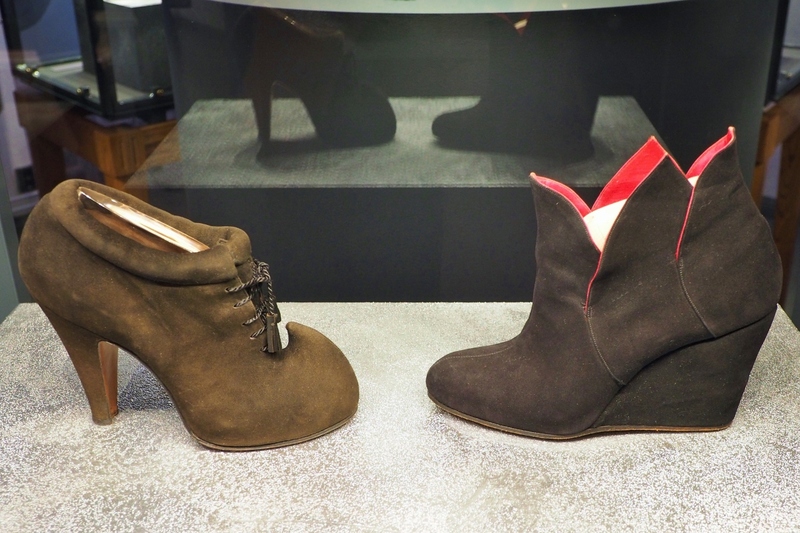 Also today, Ferragamo makes footwear for movies, such as Australia (left) and The Tourist (right). 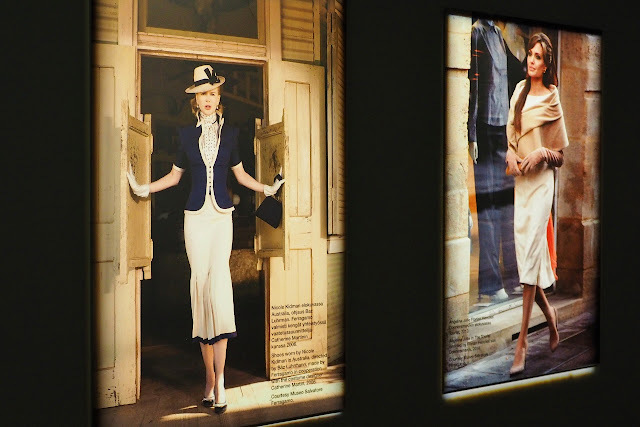 That's exactly how I felt. 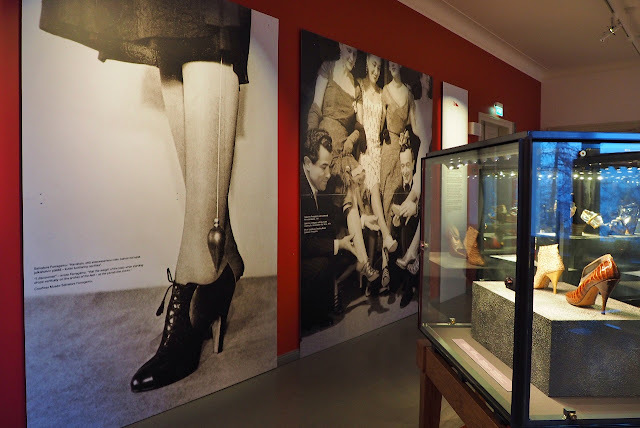 I've always considered legs my best physical asset so it would be nice to be able to wear high heels every once in a while though.